Briggs School. Photograph by A. K. Hoagland, 2008. 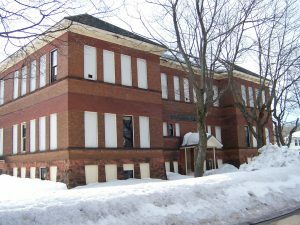 The end bays of this large two-story building are pulled forward, giving added presence to this hip-roofed school building. Set on a high sandstone foundation, the building has brick walls in two contrasting colors, as well as sandstone beltcourses at the level of the sills. Most of the walls are windows, though, as every effort was made to bring natural light into the classrooms. 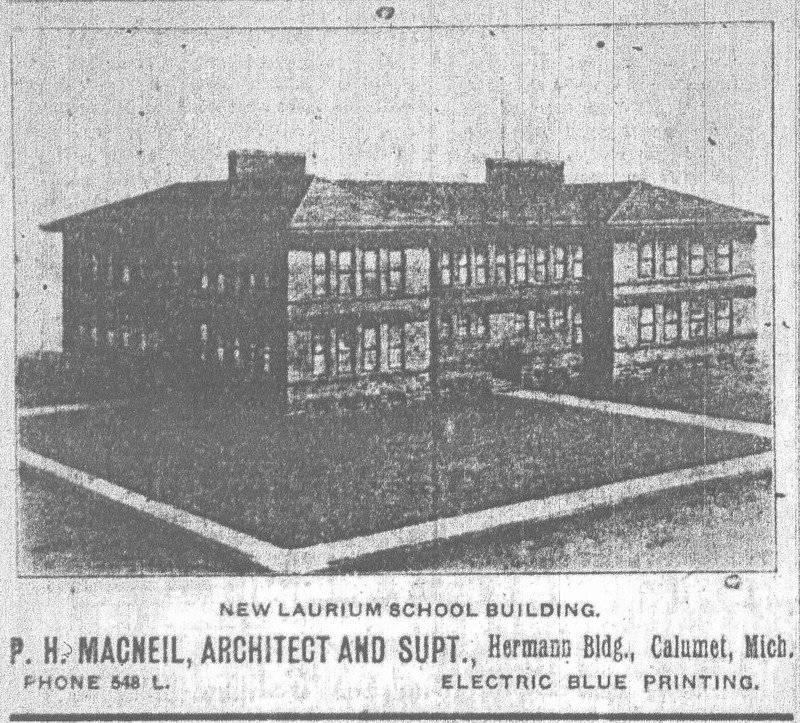 Paul Macneil advertised this building as his work in the summer of 1906. The 10-classroom school was the largest of the schools in Laurium, a community that was growing rapidly. The school was named for Charles Briggs, who was on the Calumet Board of Education for thirty years, 1878-1909. He was also president of the Merchants and Miners Bank for 49 years and was president of the Calumet & Arizona Mining Company for 20 years. Briggs School. Copper Country Evening News, 15 June 1906.